All fighter pilots look toward the day they become an ace. It’s a mark of pride and skill. In a galaxy where death can come at any moment, having survived long enough to defeat many enemies is a distinguishing factor between the grizzled veterans and fresh recruits. 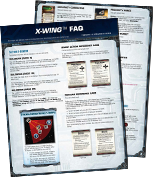 Whether you’re a veteran of multiple tournaments or looking to compete in your first X-Wing™ event, be sure to download the new X-Wing FAQ (pdf, 11.7 MB) and tournament rules (pdf, 767 KB). 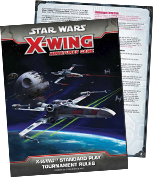 For those participating in larger scale battles, the Escalation (pdf, 3.6 MB) and Epic tournament rules (pdf, 4.8 MB) can be found on the X-Wing page. The FAQ will go into effect August 15th, 2015. The tournament rules will go into effect July 29th, 2015. First, we’ve reversed our position on the way the edge of the play area interacts with boost and barrel roll. Previously, if a ship boosted or barrel rolled in such a way that it landed outside the play area, it was destroyed. From now on, if you boost or barrel roll off the play area, you will be allowed to choose a new direction for the boost or barrel roll or an entirely new action. This is a less punitive method of handling the situation and brings this rule in line with the rule for boosting and barrel rolling onto obstacles. 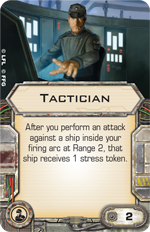 Second, the Tactician Upgrade card has received the “Limited” keyword, which means it will now be restricted to one copy per ship. This is an important limitation as we look forward to the addition of the Hound’s Tooth to the game. Thanks for sending in your rules questions, and remember—have fun and fly casual! The X-Wing tournament rules may look a bit different with this update, but the rules within remain very similar. 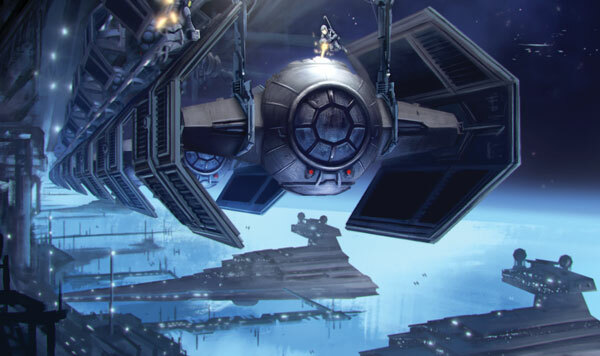 Today’s largest change is a reorganization of the document and rewording of many sections so that the X-Wing, Imperial Assault, and Star Wars™: Armada tournament rules all align. If a player is interested in playing more than one of these games, they can now see the rules differences by a simple comparison without time spent searching each document. Another noticeable change is a new section under Tiebreakers labeled “Tournament Software Strength of Schedule.” Before we started work on our tournament software, stores and tournament organizers were often forced to run tournaments by hand. While many TOs have the math skills to run large tournaments with complicated tiebreakers, the time this adds to a tournament is significant and detrimental to players’ experiences. This limited the rules governing pairings and tiebreakers for our games in the past, but tournament software opens the possibilities of new methods and we have taken advantage of them to improve our tournaments. With our tournament software in the middle of its beta phase and seeing use out in the world, it’s become important to inform players of the new pairings and strength of schedule calculations in a wider manner. While not all players may participate in a tournament run with the software just yet, this addition will inform them of what will be a universal rule once it is released widely across the world. Finally, we have solidified 75-minute rounds as the standard round length for competitive and premier tournaments. Previously, we have left room for judges and TOs to choose the round length within certain limits. As time has gone on, however, this has caused problems with certain squads being stronger depending on the time limit. To avoid this issue and to give players as consistent of an experience as possible, we now mandate 75-minute rounds in competitive and premier tournaments. It’s easy to be excited about reaching a new threshold and honor, but don’t let your guard down. Download the FAQ and tournament rules now to learn all of the rules that will help you stay alive long enough to become an ace!